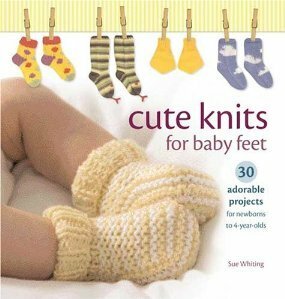 Fun and fast projects fill the pages of Cute Knits for Baby Feet. Divided into categories such as "Animal Magic", "Warm and Wooly" and "Fun for Feet", every pair of socks has a unique character quality that parents and children will both enjoy. Thirty different projects provide plenty of variety and most styles are unisex. Crisp photography, colorful yarns and detailed patterns make this an ideal book for knitters looking to create quick, adorable projects for their own children or to give as gifts.